Your dog’s breath smells really bad, right? Don’t worry, you can clean up his mouth easily using ingredients you already have at your household. 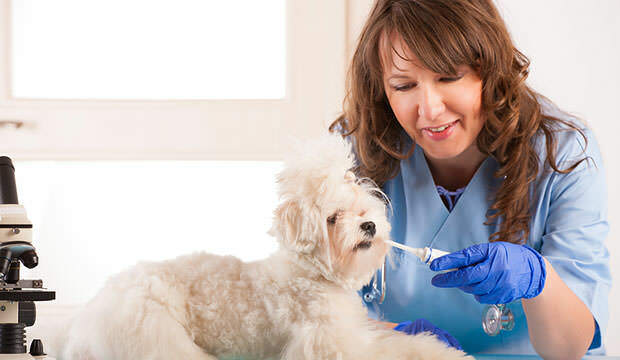 This homemade toothpaste can even be kept at room temperature for up to several weeks, so you can regularly use it in order to keep your dog’s mouth fresh. Here’s how. Take one regular size mixing bowl and dissolve one bouillon cube in the water. This cube makes the mix tasty to your pooch. Add some baking soda to the bouillon and stir. You can also add cinnamon. Baking soda is an abrasive that will help removing plaque from your dog’s teeth. Cinnamon will make your dog’s breath smell a lot nicer. Next, we will need some coconut oil. Add it to the mixing bowl and continue stirring until the mixture is even. Coconut oil ties all the ingredients together, and is safe for your dog. Store your doggy toothpaste in a small container for storage. It is useful if a container is re-sealable. The mixture can be stored at room temperature, so there’s no need to keep it in the refrigerator, since someone else from your family might mistake it for a delicious desert. Make sure your dog is in a comfortable position and he won’t run away. Pet him so he could feel at ease and realize this is nothing to be scared of. Put some of your homemade doggy toothpaste onto a dog toothbrush. Start spreading the toothpaste all over your dog’s teeth. Now, he will probably start licking and eating the paste, so try to prevent him from doing this as much as possible. 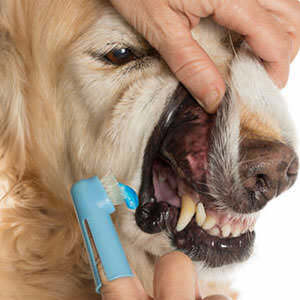 Brush your dog’s teeth in small circles, scrubbing at all the areas where plaque has built up. Make sure to take care of the back teeth and the sides of the teeth touching the gums. This is where the nasty stuff is mounting causing the bad breath. When you’re done brushing, wipe your dog’s teeth using a clean, damp washcloth. Make sure his water bowl is full so he can drink some water and wash down any remains of the mix. And, voila. Your dog’s smile should be dazzling. At least for a while. 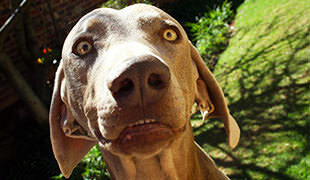 I’m concerned about the use of baking soda for dogs! And the bouillon — how much water to dissolve it in, or just whatever amount in on the bouillon package? what are the measurements of each ingredient ?